The 22nd and 24th presidents of the United States of America had the same parents, but were not brothers. How can this be possible? They were the same man. Grover Cleveland served two terms as president of the UnitedStates, but the terms were not consecutive. 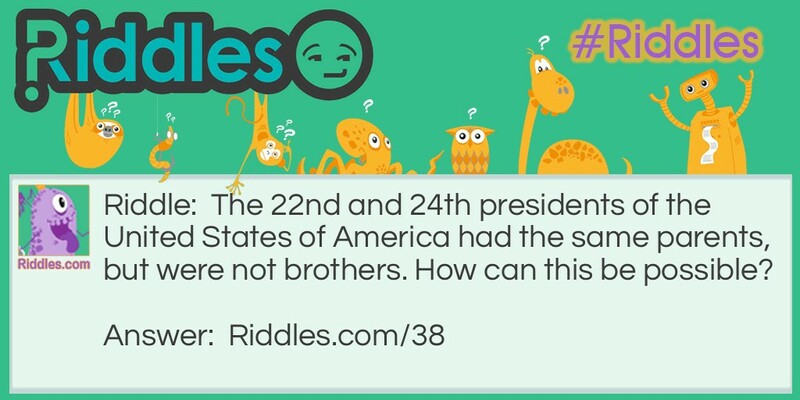 Presidential Ties Riddle Meme with riddle and answer page link.